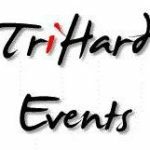 TriHard Events was setup as a company in 2006 specifically to organise triathlons and duathlons. We had been organising for a long time before then, 25 years in the case of Stokesley Duathlon, so we have a lot of experience. We pride ourselves on organising good quality, safe and responsible events at a fair entry fee.